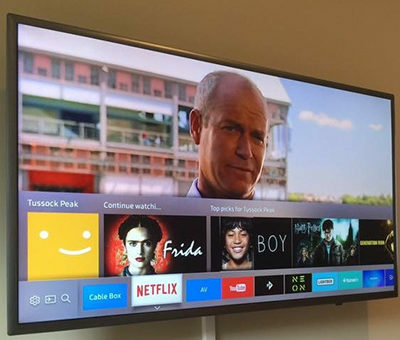 We’ve surveyed our guests and the conclusion is clear, our trial of offering Netflix is a better addition to the Freeview channels than anything SKY has to offer. So, from 1st April 2018 it’s bye bye SKY and hello Netflix for good. By dropping SKY we are able to invest in things that you our guests will get more pleasure from, not only Netflix but also new beds, pictures, etc.. You can influence this too… let us know what you think will make your stay more enjoyable. The media has recently reported that private SKY customers are leaving in their tens of thousands. The cost is simply not worth paying for mediocre content. The revised packages to private customers are not offered to businesses. If paying $90 per month was thought a lot to pay by private customers, SKY charged us more than 10 times that amount. The only thing SKY could claim a monopoly on was sports (but even that seems to be changing). What will you lose out on now SKY is gone? So it’s raining, or you’re just tired out at the end of the day… without SKY what can you see on the TV? Movies: the Netflix movies are not only better, but they are on-demand, i.e. YOU decide what to watch and when, pause, rewind, all under your control. The range of movies is also much greater than on SKY. Netflix also makes their own movies and series, some really great ones that never get to SKY or Freeview. You can search by movie title, actor, producer, etc. Sports: if it’s not on Freeview, you can use the TV’s web-browser to search the internet. Most sports are legitimately shown live somewhere in the world. If you have a SKY FanPass then our TV’s support that, so just log in and see what you would have seen if you’d been at home. 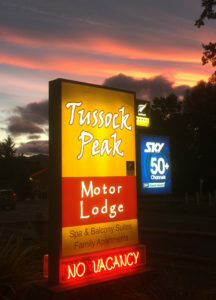 There are also at least 4 places in Hanmer Springs where you can see SKY sport and cheer your team on, together with a beer and like-minded viewers. SKY sports venues: Fire & Ice cafe, Monteith’s bar restaurant, Saints bar restaurant, Alpine bar restaurant. Documentaries: Netflix has a big range of documentaries. Either scroll down to the Documentaries section, or scroll up and use Search. Kids programs: Netflix has a complete “Kids” channel, so you can safely leave them to choose something from the big range of programs without worrying they might bump into something more adult. 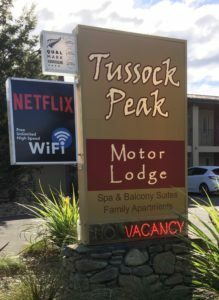 News: our TV’s have Freeview on-demand, so you can see the news even if you missed it because you were out and about in Hanmer Springs. Just press the Home button and choose the Freeview on demand app. Freeview TV: we have all the same Freeview channels that were on SKY. Freeview-on-demand also means you won’t miss out on any TV series you like, and without the ad breaks! DVD: no there weren’t any DVD’s on SKY, but we do have over 250 DVD’s in the office should there be nothing you otherwise feel like watching. We also have a few other things such as board games, kids toys, and books… just ask at the office.